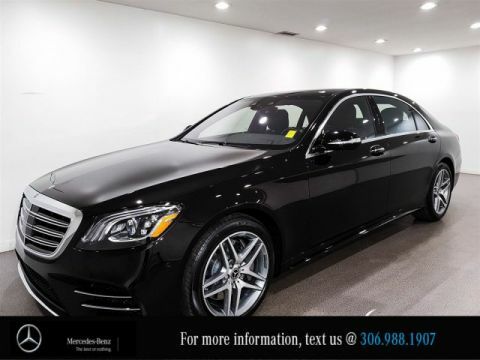 Bluetooth, DISTRONIC PLUS, Parking Assistance, Active Blind Spot Assist, Cross Traffic Assist, Heads Up Display, 360 Degree Camera, Adaptive Highbeam Assist, LED Intelligent Lighting System, Integrated Garage Door Opener, Auto Dimming Mirrors, Keyless GO,Memory Package, Sport Steering Wheel, Climate Comfort Seats, AIRSCARF, Heated Steering Wheel, SIRIUS Satellite Radio. 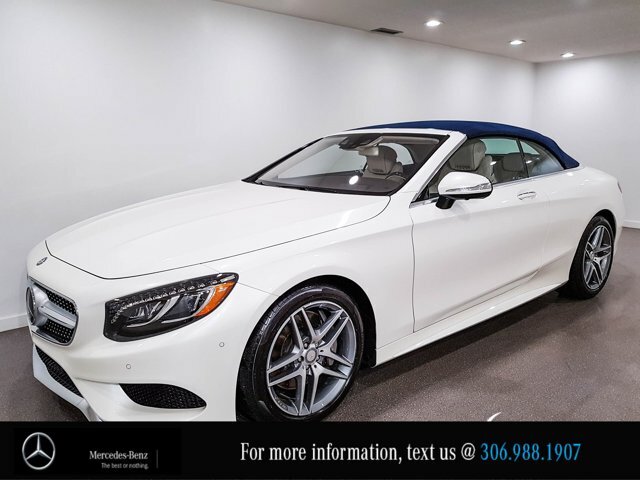 This 2017 S550 Cabriolet is absolutely one of a kind! 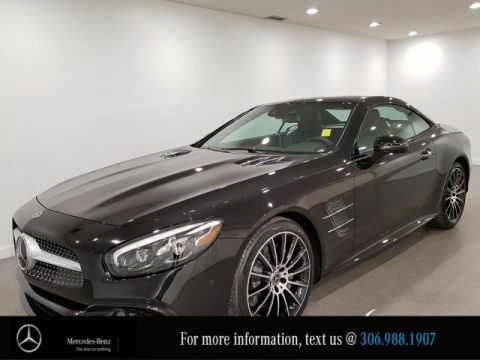 The Original MSRP of this vehicle is $190,109.00 and we are now selling for $164,980.00 and it is still under $10,000 KM! Many packages are included on it such as: Air Balance Package, Exclusive Package, Night View Assist, Blue Soft Top. 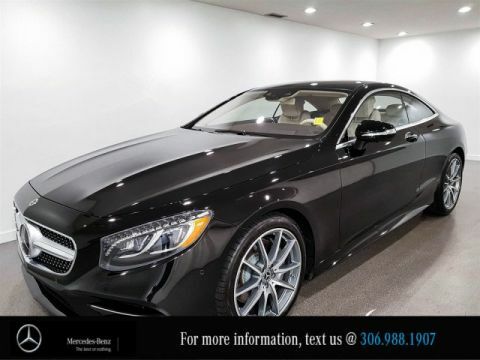 Come down to Mercedes-Benz of Regina and check it out for yourself!